Thyroid Awareness Month is approaching, and since an estimated 20 million Americans have some sort of thyroid disease (according to the American Thyroid Association, or ATA), we wanted to spotlight how you can detect the warning signs of a malfunctioning thyroid. This butterfly-shaped gland in your neck produces hormones necessary for heart rate, breathing, menstrual cycles, body temperature, and more. The ATA says up to 60 percent of people with thyroid disease are unaware of their condition. Luckily, there is a simple self-exam you can do to see if your unexplained symptoms might be related to thyroid disease. 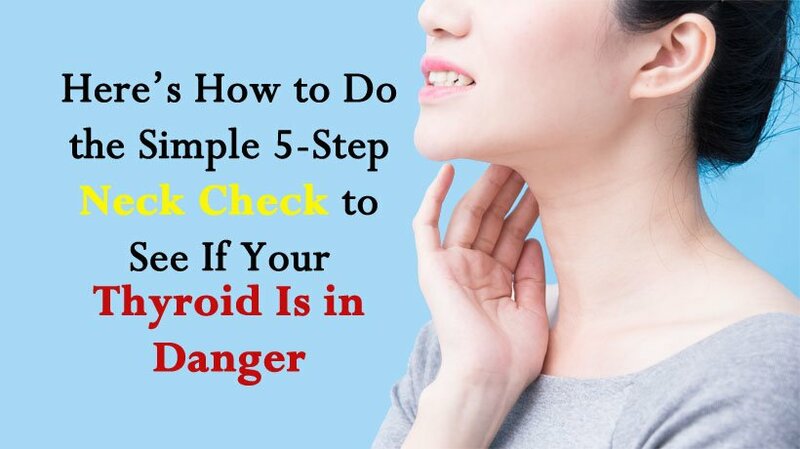 The American Association of Clinical Endocrinologists and the American College of Endocrinology offer a “neck check” that only takes five steps. If you notice anything unusual with this self-exam –– or even if you have any doubt –– consult your doctor immediately. Look in the mirror, focusing on the lower front area of your neck, above the collarbones, and below the larynx (which is behind your Adam’s apple). Don’t confuse the Adam’s apple with the thyroid gland, which is located further down your neck. While looking at this area in the mirror, pick up your glass of water and tip your head back. As you swallow, look at your neck. Check for any bulges that protrude in this area when you swallow. Repeat a few more times to be sure. If you do see any bulges, see your doctor. 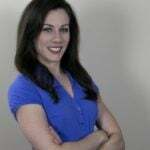 You may have an enlarged thyroid gland or thyroid nodule.